Ready to revisit the Pride Lands? We’re positively replete with anticipation… in fact, we’re brushing up our roar as we speak! And there’s no better way to “Be Prepared” (channel that inner Scar, y’all) for the upcoming debut of Disney’s live-action The Lion King than to watch the brand-new trailer, above. Disney’s The Lion King, directed by Jon Favreau, journeys to the African savanna where a future king is born. Simba (Donald Glover) idolizes his father, King Mufasa (James Earl Jones), and takes to heart his own royal destiny. But not everyone in the kingdom celebrates the new cub’s arrival. Scar (Chiwetel Ejiofor), Mufasa’s brother—and former heir to the throne—has plans of his own. The battle for Pride Rock is ravaged with betrayal, tragedy, and drama, ultimately resulting in Simba’s exile. 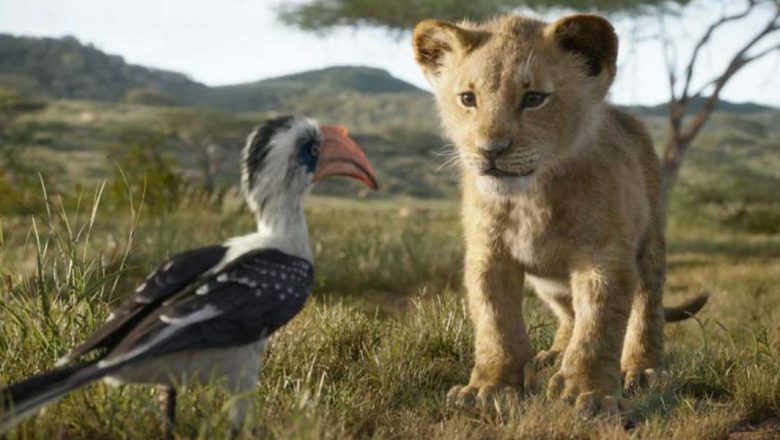 With help from a curious (and hilarious) pair of newfound friends (Seth Rogen as Pumbaa and Billy Eichner as Timon), Simba will have to figure out how to grow up and take back what is rightfully his. 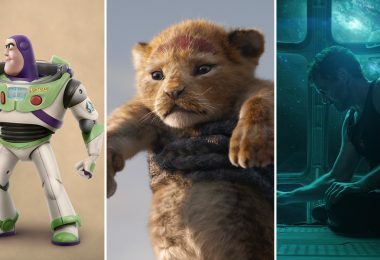 Utilizing incredible, trailblazing filmmaking techniques to bring some beloved characters to life in a whole new way, The Lion King thunders into theaters on July 19! Join D23 for a Special Screening of Star Wars: Return of the Jedi! 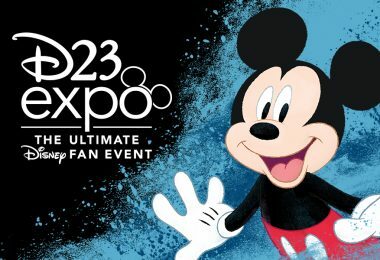 Well friends, ahead of this weekend’s sure-to-be-incredible Star Wars Celebration Chicago (make sure to tune in to D23.com for in-person coverage! ), we’ve been gifted with a brand-new image from Star Wars Jedi: Fallen Order—the highly anticipated game from Respawn Entertainment. “Don’t stand out” is the warning that came with the image, scene above, on EA Star Wars’ tweet about the action-adventure game—which shows a damaged lightsaber atop some ancient symbols from a forgotten age. 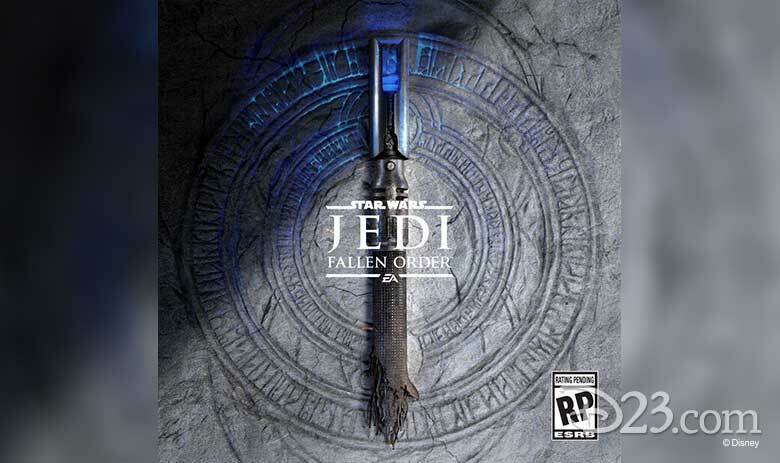 Set in the aftermath of Order 66, Star Wars Jedi: Fallen Order will follow a Padawan trying to survive as the Empire grows stronger following the events of Star Wars: Revenge of the Sith and the defeat of the Jedi Order. The game is set for release later in 2019, so we don’t have to wait too much longer… You can expect even more details (and images from the game) during its panel at Star Wars Celebration in the “Windy City” on Saturday afternoon, April 13. 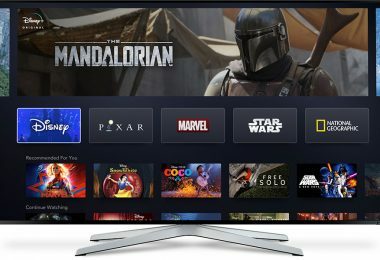 As we inch ever closer to the big debut of Disney+ (Disney’s brand-new streaming service) later this year, news of what audiences should expect to see is starting to ramp up. Case in point: this week’s big reveal of a slew of cool nonfiction projects, including a cooking show hosted by Angela Kinsey (The Office) and a new Marvel anthological documentary series. 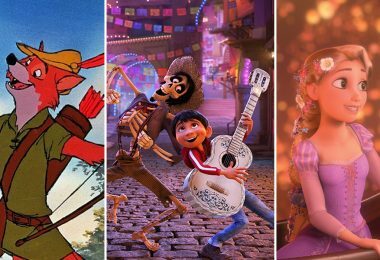 Read all about these unique new shows here at D23.com. 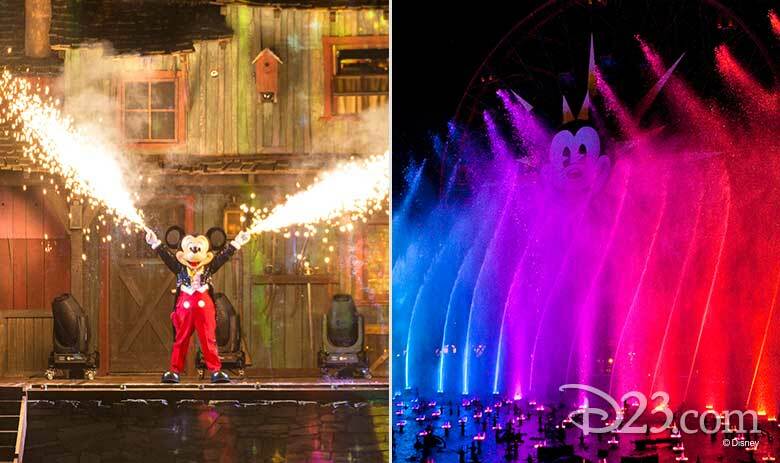 Fans of Disneyland Resort’s epic nighttime extravaganzas—chiefly, Fantasmic! at Disneyland park, and World of Color at Disney California Adventure park—will now be able to maximize their day in a whole new way… Yes, it’s true: Beginning this week, guests who purchase Disney MaxPass for their day will be able to make Disney FASTPASS selections for those two offerings right from the “comfort” of their very own mobile device, via the Disneyland app! This new ability to make digital FASTPASS selections for Fantasmic! 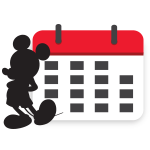 and World of Color adds to the other supremely cool benefits of Disney MaxPass, which include making select attraction FASTPASS selections from your smartphone, as well as the ability to download an unlimited number of Disney PhotoPass photos of the day’s fun. Plus, the Disneyland app itself is a goldmine of peachy perks—such as the ability to mobile order delicious eats and treats from more than 20 locations around the resort. 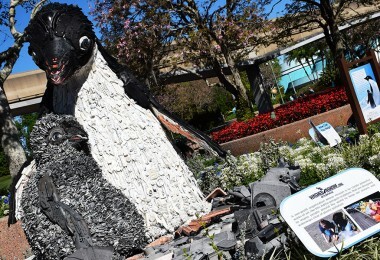 For more information, click on over to Disneyland.com/MaxPass. 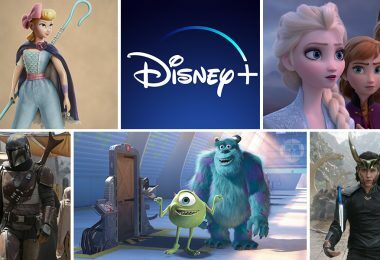 There is so much to look forward to when Disney+ debuts later this year… and just this week, the cast for one of their brand-new shows was revealed—and we’re monstrously excited! Monsters At Work, which will debut on the streaming service in 2020, will feature the dulcet tones of original Monsters, Inc. stars Billy Crystal and John Goodman. Read more about it here at D23.com. 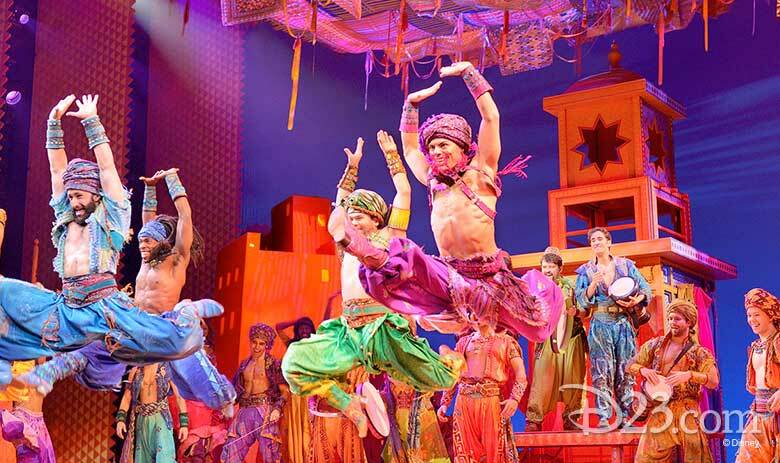 It’s hard to believe, but the fabulous North American tour of Disney on Broadway’s Aladdin is fast approaching its second anniversary! To celebrate such a momentous occasion, several brand-new principal cast members will be added to the company when it makes its upcoming stop in Salt Lake City, Utah, at The Eccles Theatre. Kaena Kekoa, a native of Hawaii who was discovered at a Disney on Broadway open casting call in Honolulu, will make her professional theater debut (cool, right?!) in the iconic role of Jasmine. Additionally, original tour cast member Reggie De Leon—who spoke with D23.com in 2018 about his Disneyland past, and about how the Aladdin tour was a literal dream come true—returns to the hilarious role of Iago. As part of the show’s trio of Aladdin’s sidekicks, Ben Chavez will assume the role of Omar, and Colt Prattes will step into the role of Kassim; plus, Frank Viveros will stand by for the roles of Genie and Babkak. The North American tour of Disney’s Aladdin officially celebrates its second anniversary on April 19 in San Jose, California, where the critically-acclaimed tour will also welcome its two millionth guest during a two-week engagement at The San Jose Center for the Performing Arts (April 10–21). For more “shining, shimmering, splendid” information, visit AladdinTheMusical.com/tour. Speaking of Aladdin, unless you’ve been living in Agrabah (where we hear the WiFi can be a little tricky), you know the live-action retelling of Disney’s 1992 animated hit—starring Will Smith as the fast-talking Genie, Mena Massoud as the charming “street rat” Aladdin, and Naomi Scott as the self-determined Princess Jasmine—will be soaring into theaters this summer… and, as was just announced by our friends at the Disney Parks Blog, guests at several Disney Parks and aboard Disney Cruise Line (DCL) will soon get a special sneak preview of scenes from the film! Beginning April 19 and for a limited time only, the preview of Aladdin will be shown inside the Main Street Opera House in Town Square at Disneyland park; as part of the Walt Disney Presents attraction at Disney’s Hollywood Studios; and on all DCL ships. See Smith and Massoud announce the sneak peek in the clip, above. The high-flying film, directed by Guy Ritchie, opens at a cineplex near you on May 24. 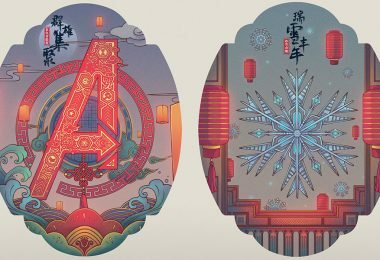 Last Friday, April 5, a gaggle of Avengers: Endgame stars—including Robert Downey Jr., Brie Larson, and Chris Hemsworth—joined Disney Chairman and CEO Bob Iger at Disney California Adventure park to announce the new Avengers Universe Unites initiative, aimed at bringing comfort to seriously ill kids around the globe. 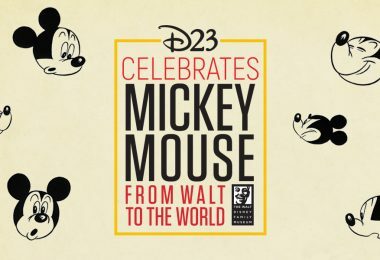 Find out about this incredible charity event right here at D23.com. For the last decade, Disneynature has taken moviegoers to places they’ve never dreamed of—to far-flung locales around the world (or sometimes deep into the oceans), and always following a colorful array of animals that have delighted young and young at heart. Soon, we’ll meet the latest adorable creature to get the Disneynature treatment: Steve the Adélie penguin, in Penguins—opening in theaters and in IMAX on April 17! 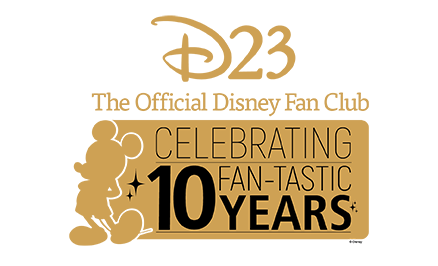 Disneynature recently debuted a heartwarming video celebrating these last 10 “wild” years—check it out, above! Descendants 3, the highly anticipated “trequel,” will premiere this summer on Disney Channel—and to tide us over, they’ve released a new trailer featuring all your favorite VKs (that’s “villain kids,” for the uninitiated) as they begin their face-off with nemesis Hades (Broadway’s Cheyenne Jackson). 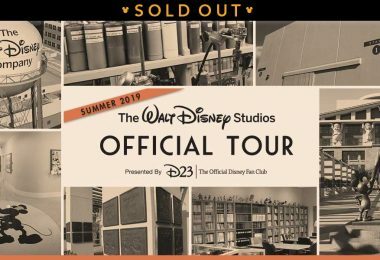 See it for yourself right here at D23.com.